This is the latest vmware news. Recently, I had this come up where I had to remove the vCloud Availability 3.0 (vCAv) plugin from my lab vCenter. 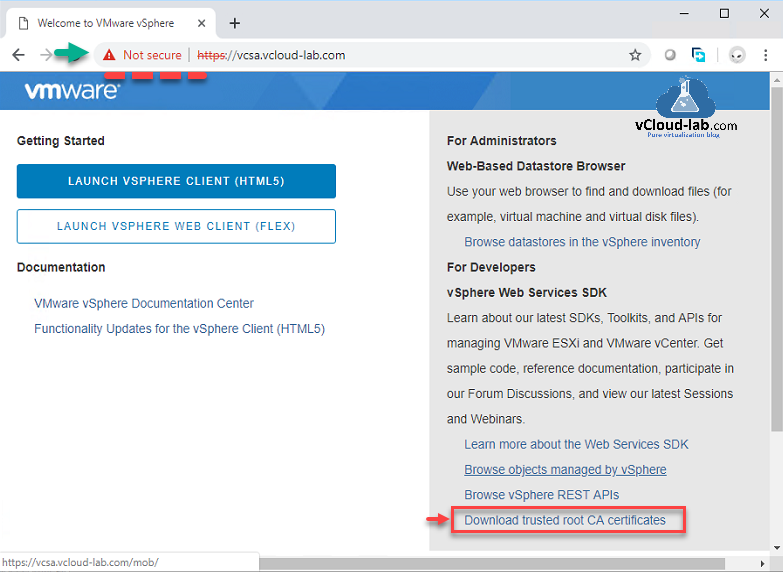 Today, there is not a way to do this through the vCAv on-premises appliance UI – it must be done directly on the vCenter. 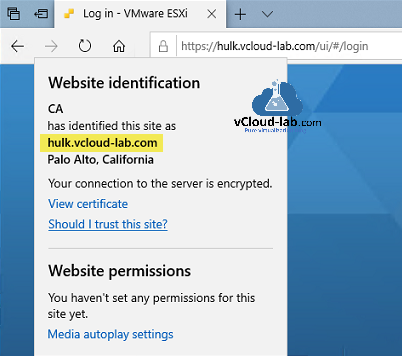 Therefore, after speaking with a colleague (Bill Leck), I received … Continue reading "Removing VMware vCloud Availability 3.0 Plugin from vCenter"
The post Removing VMware vCloud Availability 3.0 Plugin from vCenter appeared first on Clouds, etc.. The post Network Automation with Cloud Assembly and NSX – part 1 appeared first on VMware Cloud Management. The post VMware: Actualizar nuestro VCSA a la última versión – VMware vCenter Server 6.7 Update 2 Build 13010631 appeared first on El Blog de Jorge de la Cruz. The post PowerShell Create 1GB Files of Random Data appeared first on VMscribble. VMCA (VMware Certificate Authority) is a one of the components in PSC (Platform services controller) inbuilt into vCenter server 6.x. VMCA is Certificate Authority and works as same as Microsoft CA certificate. It can issue certificates to VMware components i.e. vCenter, ESXi servers. 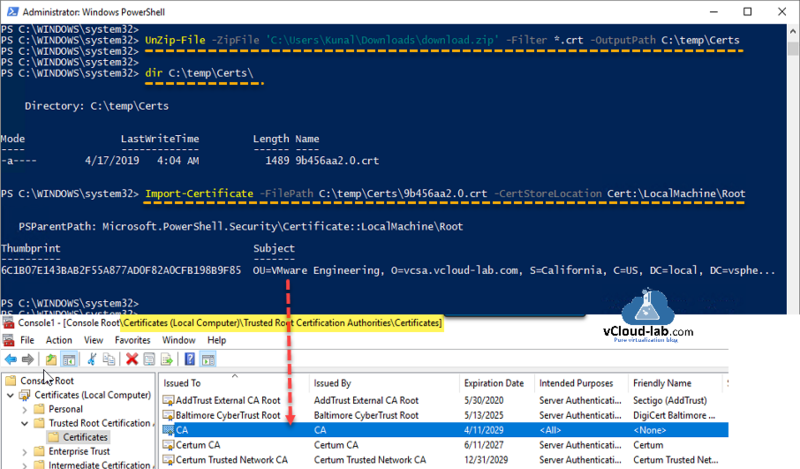 In my previous blog How to import default vCenter server appliance VMCA root certificate and refresh CA certificate on ESXi, I have shown using existing default VMCA root certificate and how to trust it in your organization using group policy or manually. which doesn't require much efforts. Your internal Information Security team might wants you to replace default certificate with custom certificate on vCenter appliance (vcsa) provided by your in house Certificate Authority custom certificate or 3rd party trusted SSL certificate. I have already my Microsoft RootCA PKI infrastructure configured in my environment. I keep PSC role on same server as vCenter appliance keeping future deployment and changes in mind as per this article https://blogs.vmware.com/vsphere/2018/11/external-platform-services-controller-a-thing-of-the-past.html. 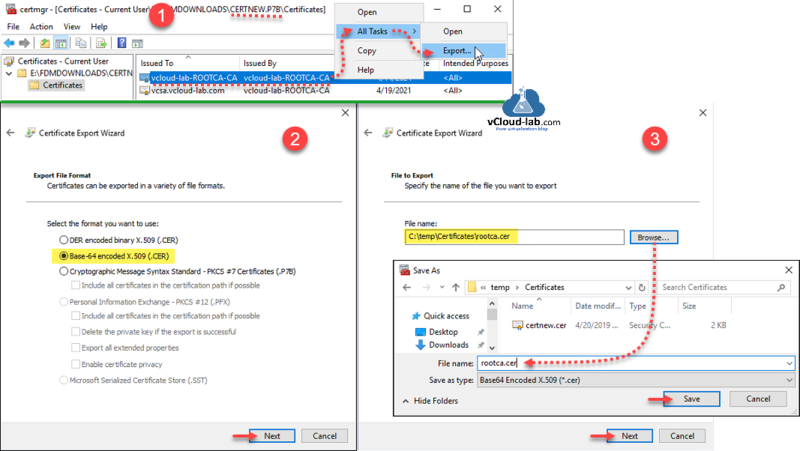 To proceed with first step create new certificate template for VCSA on Microsoft certificate authority server is create, I have followed the same steps from vmware video on https://www.youtube.com/watch?v=epxR5Ow4QtU. Open Run and type certtmpl.msc, press ok. If you are seeing error Certificate Template: Windows could not create the object identifier list. The specified domain either does not exist or could not be contacted. Certificate templates are not available. 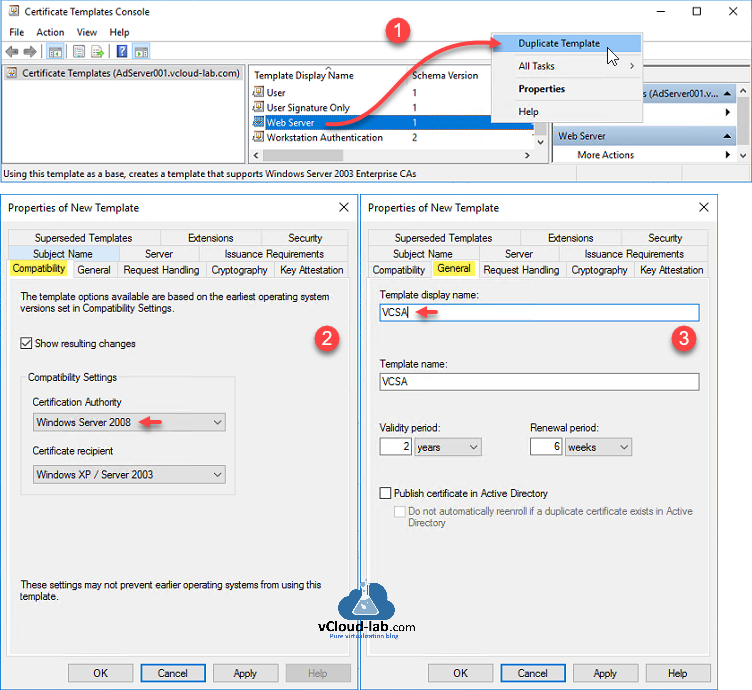 Right click Certificate templates and press Connect to another writable domain controller, choose a Default writable domain controller, then hit Ok.
From the Template Display Names find Web Server, right click it, choose Duplicate Template. On the properties go to compatibility tab, on the Compatibility Settings choose certificate authority as Windows Server 2008 (Version 3 Certificate), if you need more secure and encryption level higher on your cert choose higher version of OS from the list. For backward compatibility choose lower OS version. Next on General tab give a template display name. 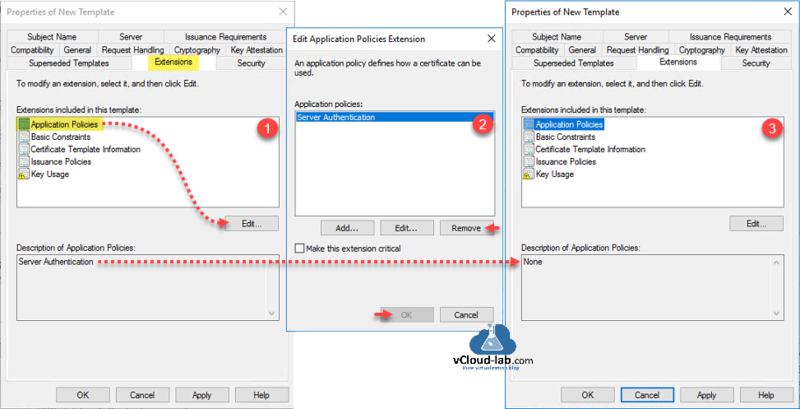 On the Extensions tab select Application policies, click Edit and remove Server Authentication. Next Go to Key Usage, click check on Signature is a proof of origin (nonrepudiation) and in the last select Subject Name tab, make sure Supply in the request is selected and click Apply - OK. New Certificate template will show in the list now. Open Server Manager, go to Tools choose Certificate Authority. On the Certificate Templates right click, go to New >> Certificate Template to Issue. 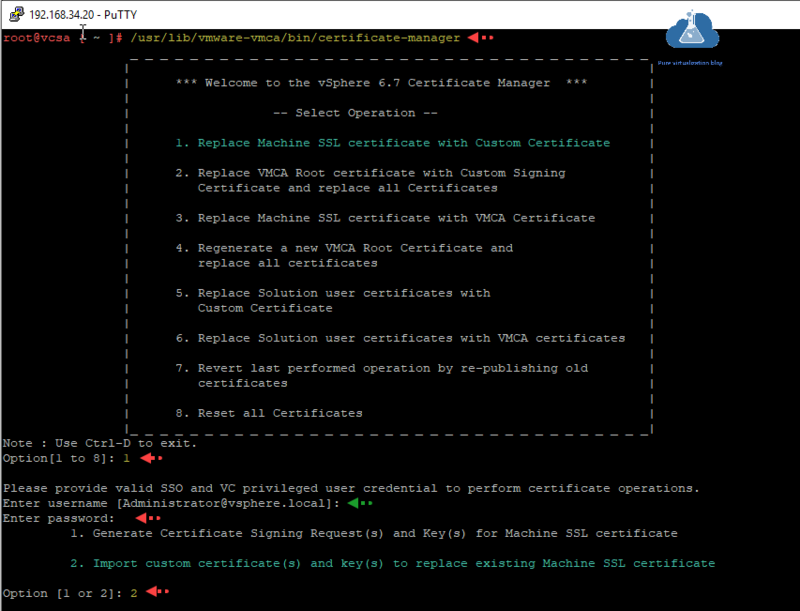 Select earlier created certificate to enable in Certificate Authority by clicking OK.
Tasks on CA server are completed, For next tasks I will login to VCSA (VMWare vSphere vCenter server Appliance) using ssh tool putty. After login launch BASH on command prompt by typing shell, this Shell access is granted to root permissions. I need SCP to work on VCSA, by running chsh -s /bin/bash root will allow winscp tool to login. Run command /usr/lib/vmware-vmca/bin/certificate-manager and select operation Replace Machine SSL certificate with Custom Certificate by typing 1, Provide valid SSO and VC privileged user credential to perform certificate operations. Once successfully authentication happens, select option Generate Certificate Signing Request(s) and Key(s) for Machine SSL certificate by typing 1. This launches certool tool to generate key and csr. On the CSR and Private Key generation option provide info as below which configures and creates certool.cfg. 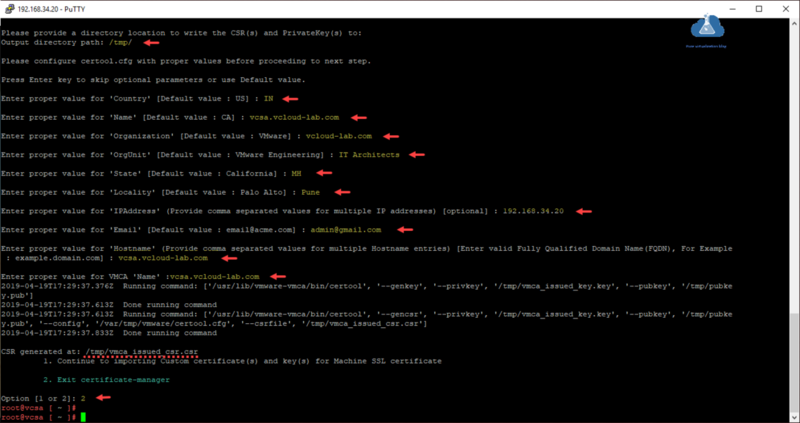 In the background it uses certool to generate vmca_issued_csr.csr and vmca_issued_key.key under provided folder location /tmp/. Type 2 to Exit Certificate-Manager. 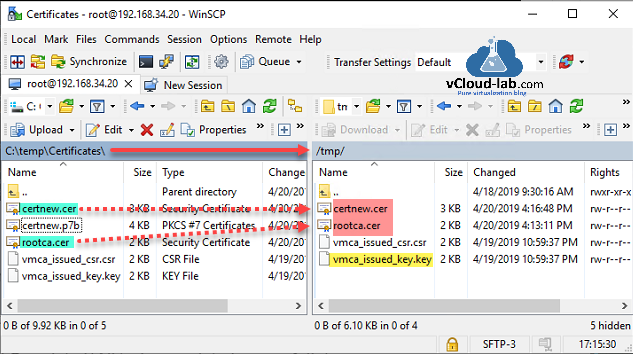 Download newly generated file from VCSA using winscp tool. Files are vmca_issued_key.key and vmca_issued_csr.csr from /tmp. folder. On the Microsoft Active Directory Certificate Services http://certsrv web site, click Request a certificate. Choose and click submit an advanced certificate request. Open vmca_issued_csr.csr in notepad, copy all the content from begin to end and copy to Base-64-encoded certificate request (CMC or PKCS #10 or PKCS #7) text box. On the certificate template select earlier created template VCSA and press submit button. Certificate is issued now, choose Base 64 encoded and download certificate (certnew.cer) and download certificate chain package (certnew.p7b). Downloaded certnew.p7b can not be used directly on VCSA to import. It contains Root CA certificate which I will export to .CER extension by opening it, select Root CA certificate, right click All Tasks and Export. 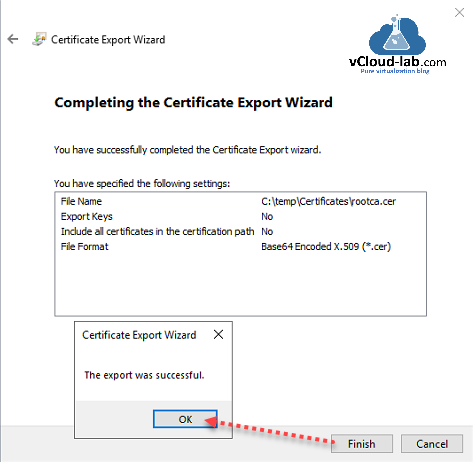 This launches Certificate Export Wizard, Select Base-64 encoded x.509 (.CER) version, press next. From browser select directory location and give it meaning full name as rootca.cer to save certificate as .cer extension. Review settings on last page and click Finish, it should show message The export was successful. Upload certnew.cer and rootca.cer to VCSA using winSCP tool. 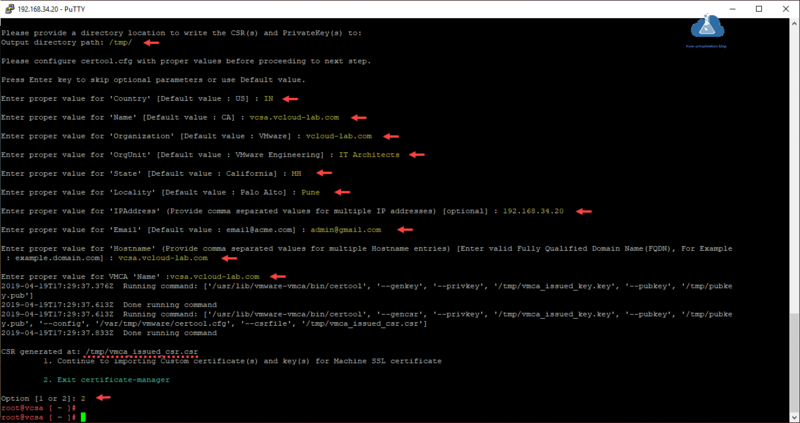 On VCSA use command /user/lib/vmware-vcsa/bin/certificate-manager. Select option 1. Replace Machine SSL certificate with Custom Certificate, provide admin username and password. Select next option 2. Import custom certificate(s) and key(s) to replace existing Machine SSL certificate by typing digit 2. 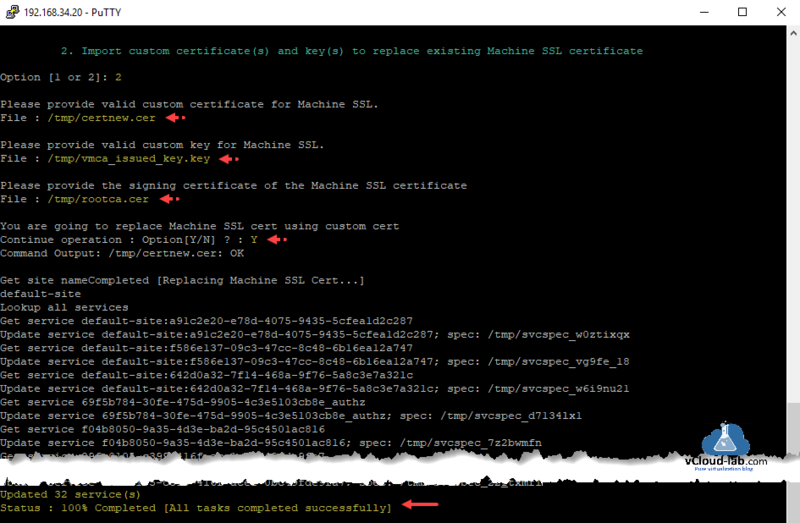 Press Y to continue replacing Machine SSL cert using custom cert. It will take some time for deployment, If everything is good and OK, there will be message in the last. If you provide incorrect certificate while deployment you will see error similar to depth lookup:certificate. After launching VCSA url in browser, below are the changes before upgrade and after upgrade. 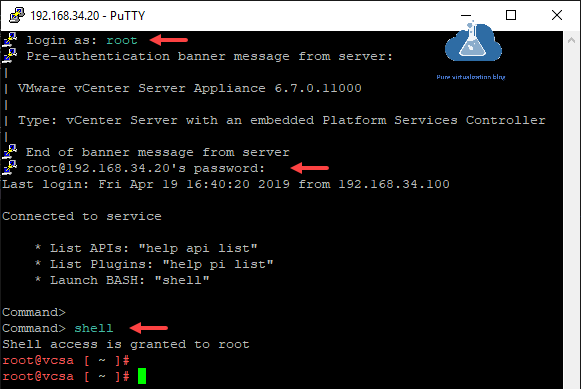 To trust the root certificate you can add the it to Trusted root certification authorities as shown in my earlier article How to import default vCenter server appliance VMCA root certificate and refresh CA certificate on ESXi. The post Enhanced Administrator Experience in VMware Identity Manger 19.03 appeared first on VMware End-User Computing Blog. The post Announcing VMware Essential PKS 1.14: Expert Guidance on Your Path to Upstream Kubernetes appeared first on Cloud Native Apps. The post I’ve Deployed My SDDC, Now What? Part 1: Quickstart Into Accessing vCenter For The First Time appeared first on BRIAN GRAF. The post What’s New for vRealize Network Insight 4.1 and Network Insight Cloud Service appeared first on VMware Cloud Management. This is step by step guide on basic vmware certificate chain installation in the infrastructure, all the steps performed on development infra, Back from my previous project, I installed new VMware vCenter appliance 6.7 recently and few of my esxi server were already installed with self signed certificates using Microsoft CA and openssl tool. But I wanted to streamline everything with automated fashion. VMCA to help here, VCSA 6.7 comes with component called VMCA (VMware certificate authority) inbuilt into PSC (Platform services controller). When you open VCSA web client url, by default it shows certificate error with not secure. If you open cert and read the properties it signed by unknown CA. To resolved this without any change, download VMCA root certificate chain from same webpage in the right bottom. Click on Download trusted root CA certificates. I am using below PowerShell script to extract required file. Run above script once, after that execute below command to extract CRT file to Output path. Next command Imports certificate to local computer's Certificates MMC under location Trusted Root Certification AuthoritiesCertificates, Once import is successful you can verify it on the gui mmc. If you want to escape below step and want to push install chain certificate on your entire infrastructure use my previous article Push SSL certificates to client computers using Group Policy. 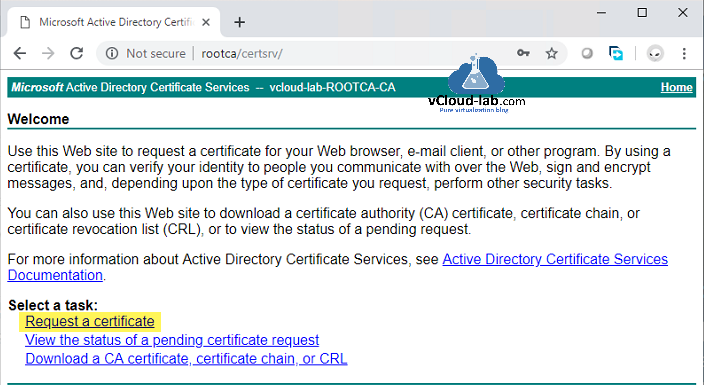 This onetime step is completed, close and reopen vCenter url in browser, this time connection will be show secure with Certificate (valid), and on the cert path it shows proper chain with hierarchy path. 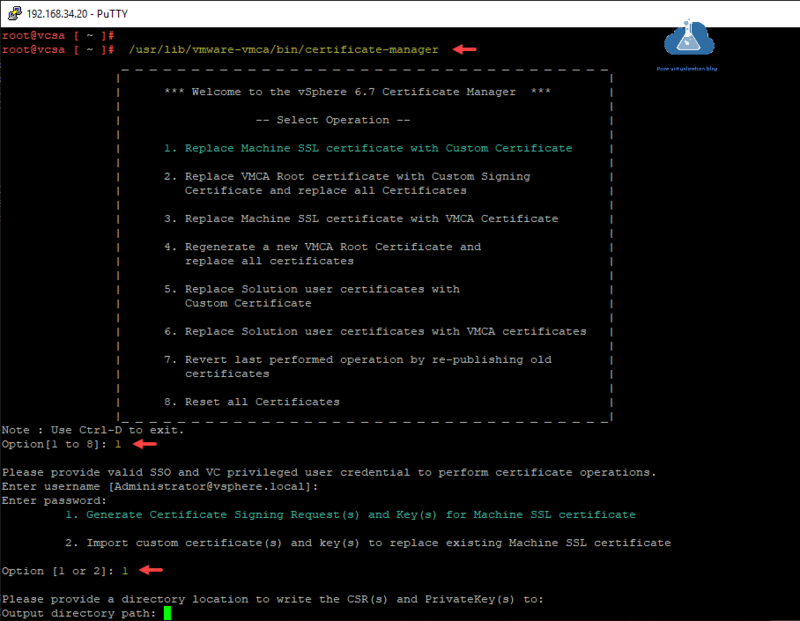 Adding esxi host to vCenter virtual datacenter has its own benefit, the very first in effect is, when you add ESXi host to vCenter, Esxi self signed certificate will be automatically replaced by VMCA signed certificate on ESXi host. 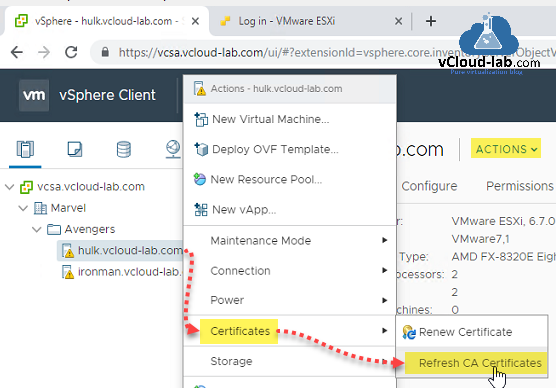 In case if you have upgraded vCenter from lower version and after upgrade somehow esxi certificate is not refreshed, you can do it by Right clicking from virtual datacenter on ESXi server and then on context menu actions select Certificates and click Refresh CA Certificates. If certificate is about to expire, you can renew it using Renew Certificate. Lunch ESXi ui web access in browser and review the new certificate settings, It is signed by VMware CA now. Read the full post VCP6.7-DCV Objective 4.5 – Configure virtual networking at ESX Virtualization. Tab Completes the current command. If you enter a part of the command name and press the Tab key, the system completes the command name.To view the commands that match a set of characters that you enter, type a character and press the Tab key. Enter (at the command line) Runs the command that you entered. Enter (at the Moreprompt) Displays the next page of output. Delete or Backspace Deletes the character that is on the left of the cursor. Left arrow or Ctrl+B Moves the cursor one character to the left.When you enter a command that extends beyond a single line, you can press the Left Arrow or Ctrl-B keys to go back to the beginning of the command. Right arrow or Ctrl+F Moves the cursor one character to the right. Esc, B Moves the cursor one word back. Esc, F Moves the cursor one word forward. Ctrl+A Moves the cursor to the beginning of the command line. Ctrl+E Moves the cursor to the end of the command line. Ctrl+D Deletes the character selected by the cursor. Ctrl+W Deletes the word next to the cursor. Ctrl+K Deletes the line forward. When you press Ctrl+K, everything that you entered starting from the cursor location to the end of the command line is deleted. Ctrl+U or Ctrl+X Deletes the line backward. When you press Ctrl+U, everything from the beginning of the command line to the cursor location is deleted. Ctrl+T Changes the places of the character to the left of the cursor with the character selected by the cursor. Ctrl+R or Ctrl+L Displays the system prompt and command line. Ctrl+V or Esc, Q Inserts a code to indicate to the system that the following keystroke must be treated as a command entry, not as an editing key. Up arrow, or Ctrl+P Recalls commands in the history buffer, beginning with the most recent command. Down arrow or Ctrl+N Returns to more recent commands in the history buffer after you use the Up arrow or Ctrl+P to recall commands. Ctrl+Y Recalls the most recent entry in the delete buffer. The delete buffer contains the last 10 items you have cut or deleted. Esc, Y Recalls the next entry in the delete buffer. The delete buffer contains the last 10 items you have cut or deleted. Press Ctrl+Y first to recall the most recent entry, and then press Esc, Y up to nine times to recall the remaining entries in the buffer. Esc, C Capitalizes the character selected by the cursor. Esc, U Changes the casing for all characters in the word selected by the cursor, up to the next space, to uppercase. Esc, L Changes the capitalized letters in a word from the character selected by the cursor to the end of the word to lowercase.